We are naturally wired to help each other. It’s just part of our DNA. It may be the most exceptional trait of our species. Our collective history is defined by a shared ancestral memory of cooperation, collaboration, empathy, and assistance. Things fall apart when we forget. But in times of crisis, we remember – all at once, like suddenly we’re all hearing the same inspiring song – and we re-engage in step to the music. Suddenly, we’re one. And together, we evolve. I’m a professional organizer. In my professional practice, I help people to simplify so they can focus on the things that matter most: who we love, what we do, how, and why we live… because everything else is just stuff. I help my clients de-clutter and get organized, but all that work is really just a guise for saving the world. Start in your bathroom with the products you use most. Things like makeup, shampoo, lotion, soaps, toothpaste, etc. Anything with chemicals and fragrances are good candidates for switching out. Then move to the kitchen and laundry and take an inventory of the cleaning agents. Steadily migrate over as your products run out or simply throw away and start over. With online marketplaces like Amazon, Thrive Market, and independent retailers like Honest Company and others, reducing your overall chemical load is easier than ever. On Friday, January 18, Elizabeth Desiree of Washington state posted on Facebook that she just got a call from an employee at Costco and he told her that Costco would no longer be selling Roundup. She had written him a letter and he was calling her back. I was excited but reserved my excitement. There is so much fake news these days. I called the headquarters, and after two days of messages and calls, I did finally confirm with three people that Costco was not ordering Roundup or any glyphosate-based herbicides for the incoming spring shipments. They would not be selling it in any stores, all across America. This is HUGE! How fantastic! One employee mentioned that they had looked into organic alternatives first and were happy with the results. More than one employee mentioned the lawsuit (Johnson V Monsanto) for part of the reasoning. They said they just felt like it was the right thing to do. I asked for an official statement and was told that usually, Costco does not issue press releases, etc discussing which items they have discontinued. Despite not hearing back from the Costco PR department, I decided to announce the information anyway. I told them that the 89,000 people who signed a petition to Costco, Home Depot, and Lowe's deserved to have an answer. I knew that they would be happy to know that Costco was doing the right thing. Watch our Facebook live discussing the issue with Zen Honeycutt here. The holiday season is over, and the new year is here, which means our excuses for eating and drinking everything in sight have now expired. It’s officially time for phase two of the holiday season; the cleanup. The famed “new year cleanse” (or is it detox?) often consists of green juices, superfood smoothies, charcoal tablets, and the highly popular fasting techniques. There is no shortage of recipes and dietary strategies promising to ditch the holiday weight and boost energy levels to help you start the year off right. But it’s 2019. Aren’t we supposed to be like, super woke? That’s what my millennium colleagues tell me. Forgive me, but it seems a bit naive to think we can undo the damage created by a fast pace lifestyle, over-stimulation from electronics, genetically modified foods, processed ingredients, the constant barrage of thousands of chemicals in our environment, an emotionally charged sociopolitical climate…all with a few glasses of green juice? Look, I’m a fan of green juice and healthy smoothies. Heck, I live in Southern California. Might as well be the green juice capital. My quick calculations indicate that 21% of state revenue in 2018 came from sales of green juice. Just kidding…or am I? At $14 a bottle, the calculations might be correct. All joking aside, the new year does provide the perfect opportunity to reevaluate our lifestyle and refocus on creating a healthier, more balanced life. For those focused on semantics, I might suggest the term, “detox”, be generally reserved for the inbuilt biological processes that organic lifeforms use to metabolize and excrete a plethora of organic and inorganic substances in order to maintain balance and harmony in the system. Detox might include metabolic functions of microbiota in the gut and elsewhere. Or it can occur intracellularly in a variety of tissues throughout the body including the liver, kidneys, lungs, skin, bowels, brain, and lymphatic system, among others. Detoxification processes also occur inside our mitochondria, and in the extra cellular matrix. In fact, there aren’t many places in the body where detoxification doesn’t occur. When we speak of cleansing, I might suggest this term more appropriately describes the actions we take to alter our internal and external environment, thereby lowering our overall toxic load and allowing the body to properly detoxify, expel, or excrete substances that disrupt homeostatic balance in our system. So, we might say the key to detoxification is to use a variety of cleansing techniques to reduce the internal toxic load, while also providing the substrates needed to carry out the biological processes required for metabolizing and excreting substances that contribute to imbalance – things like disruptive chemicals, disruptive metals, hormone metabolites, and pathogenic organisms. But instead of getting too caught up in the semantics of words like “cleanse” and “detoxification”, let us focus more on the syntax of these two terms. Let’s approach 2019 like the woke humans we are. No longer is it sufficient to simply focus on food if we want to lose weight, increase energy, improve mood, and optimize function. Instead, if we look at cleansing and detoxification as more of an archetype, we can apply these concepts to many areas of our daily life. what you read, and what you watch. It’s what you think and feel. Be mindful of the mental, emotional, and physical things that you embody. Truth is, there exist a number of lifestyle factors that can disrupt homeostasis and prevent your body from optimal physiological detoxification. So here are the four primary areas of your life that you can cleanse and detoxify to improve your overall health. This is a fantastic place to start because the change is very tangible, and you may notice an immediate improvement to your health. Probably the most unrecognized and increasingly pervasive “toxin” in the home these days is artificial light. Run-of-the-mill overhead lighting in the house and the bright lighted emitted from various electronic screens, particularly after sunset, have decimated both sleep time and sleep quality. So much so that research continues to show that poor sleep caused by artificial light is contributing to weight gain, increased breast cancer risk, fatigue, and many other chronic conditions. Improving sleep quality can dramatically improve health across the board. Wearing blue blocking glasses at night, swapping out your traditional lights with orange bulbs, and using beeswax or organic soy candles are easy ways to detoxify your nighttime lighting environment. Another fantastic way to detox your environment is to do a “spring cleaning” and get rid of anything you don’t really need. Employ minimalist strategies and clear out stale energy and emotions bound up in material goods you don’t use. If you have a hard time tossing out old furniture, books, knickknacks, or clothes that haven’t made their way out of your closet in 2 years, you’ve got emotional attachment that needs to be cleared. Besides, less fortunate people can probably use the clothes you aren’t wearing or furniture sitting in your basement or garage. Did I mention that research suggests generosity and altruism benefit your health. 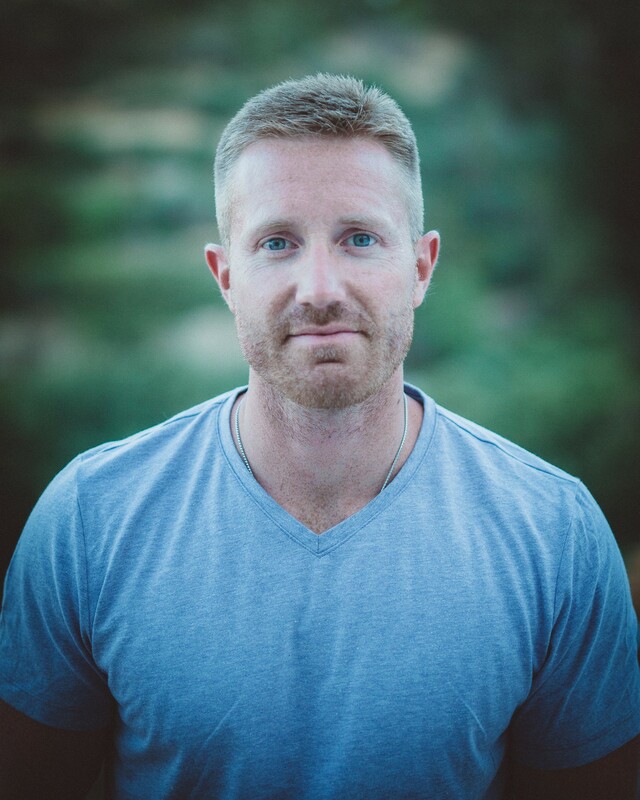 Jason Prall is a former mechanical engineer turned entrepreneur, filmmaker, and Health Optimization Practitioner. Due to 20 years of his own health challenges, Jason was given the opportunity to discover the reality behind his symptoms. Over the years, he transitioned from working as a practitioner in the integrative disease care model to a model of health optimization and lifestyle medicine. In May of 2018, his extensive research and experience were distilled into a documentary film series called, "The Human Longevity Project", which uncovers the complex mechanisms of chronic disease and aging, and the true nature of longevity in our modern world. Each new year seems to come about so quickly. Where did the last year go? But this year at Moms Across America we are ready to move forward with a renewed purpose and determination -- literally. 2018 was a roller-coaster ride of highs and lows for us as a country. I am sure you felt it. After much thoughtful consideration the MAA team, with your feedback, as regrouped and reinvigorated our purpose. We are poised, realizing that we are the authors of our destinies, recognizing the visionary in each of us -- and the collective ability that we have as visionaries to move mountains. We are so thrilled at this brilliant, delightful, creative solution! You are Manifique, Macron! The French government has released its glyphosate ‘phase-out’ online platform, in an attempt to help farmers across the country to stop using the world’s most used herbicide before 2020. Macron places a 50% increase tax on glyphosate and funds go to support organic farming. How brilliant! Man of the Year! President Macron!